I'm not sure if the US Army is interested in procuring F-35's of their own. 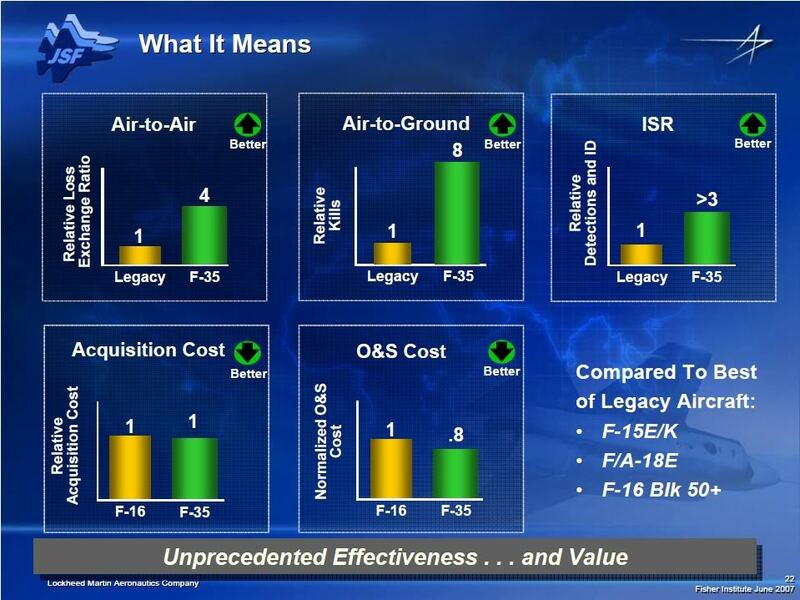 I think it would make much more sense to try to tap into Link-16/MADL to leverage F-35 sensor data of the other service assets into there current IADS networks. They might be able to task Air Force or Navy assets to fly specific tracks, but I think trying to procure/train/maintain pilots and aircraft of their own would be prohibitively expensive. "Under the "Key West Agreement" of March 1948, the ..United States Air Force has control of all strategic air assets, and most tactical and logistic functions. Basically removing any fixed wing combat aircraft from the US Army. While the Army retained aviation assets for reconnaissance and medical evacuation purposes. That is why the Army has spent so much time developing the rotary wing (helicopter) aviation, both transport and attack aircraft." neptune wrote: While the Army retained aviation assets for reconnaissance and medical evacuation purposes. That is why the Army has spent so much time developing the rotary wing (helicopter) aviation, both transport and attack aircraft." Other countries also field attack and transport helicopters and do not have the Key West agreement. I am reading a new book on Russian Tactical Aviation (from Russian authors) and I learned that Army Aviation, AA, is actually part of the Russian Aerospace Forces, i.e. the air force, not the Russian Ground Forces. Russia is continuing to produce new models of attack and transport helicopters. In Israel, I believe helicopters are also part of the IAF. No need to derail the thread which is about the F-35 being used in conjunction with US Army missile defense systems and zero relevance to Russian and Israeli helo developments. 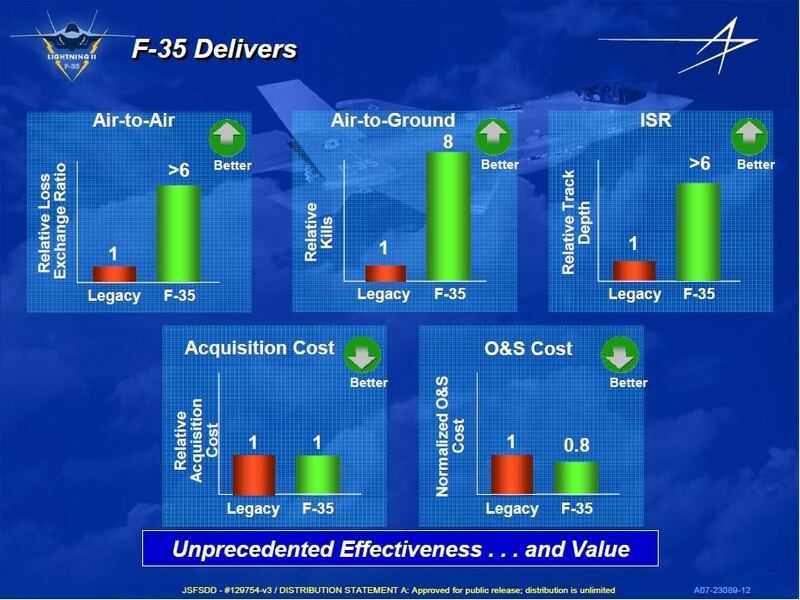 durahawk wrote: I'm not sure if the US Army is interested in procuring F-35's of their own. I think it would make much more sense to try to tap into Link-16/MADL to leverage F-35 sensor data of the other service assets into there current IADS networks. They might be able to task Air Force or Navy assets to fly specific tracks, but I think trying to procure/train/maintain pilots and aircraft of their own would be prohibitively expensive. They may get relatively close with their future vertical lift platform. "At the live-fire event, the Aegis Combat System at Desert Ship launched a Standard Missile 6 (SM-6) from a vertical-launching system and successfully intercepted a cruise missile representative target using sensor data provided by an Army Joint Land Attack Cruise Missile Elevated Netted Sensor System (JLENS). The JLENS data was transmitted to Aegis via the Cooperative Engagement Capability (CEC) network and was used by Aegis to engage the target beyond the horizon of Desert Ship. This successful NIFC-CA test was the first live-fire engagement using tactical Aegis Baseline 9, CEC, SM-6 and JLENS systems, and the first use of non-naval elevated sensor data to support an Aegis over-the-horizon engagement." 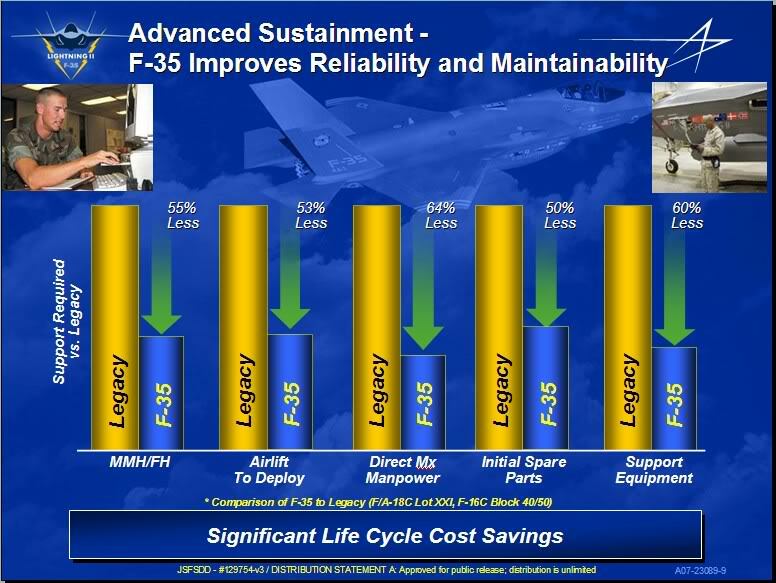 Integrate the F-35 into the USN/US Army/USAF "cloud". Thought the whole point of CEC was to get everybody feeding targets into the system and then letting the system allocate shooters. IMO the Army should reconsider a JLENS-like system. It would provide persistent and affordable static coverage in certain scenarios/environments. Does the US Army appreciate what the F-35 brings to the fight? Loren Thompson doesn't seem to think so. The sooner they roll out joint LFEs the better. That is not what U.S. Army planning documents seem to be expecting. The service's Future Force Development Strategy, completed last year, states that "many aspects of the Army's force structure are tied to earlier operational environments and obsolete assumptions of air and maritime superiority." The Army fears that U.S. air power won't be there to defend it in the future because of the proliferation of Russian integrated air defenses in Eastern Europe. I wonder where they pulled these numbers from? It sounds rather silly to state such definite single number metrics as if that is what will happen in all circumstances and contexts. They were based on simulations vs US 4th gen assets. SpudmanWP wrote: They were based on simulations vs US 4th gen assets. I wonder how close the program is tracking to those rosy predictions in that last slide? The 6:1 version is the newer one.